The goal of a Minnesota Search Marketing campaign is to be sure that each and every dollar you put towards paid advertising delivers the most qualified prospects to your website. 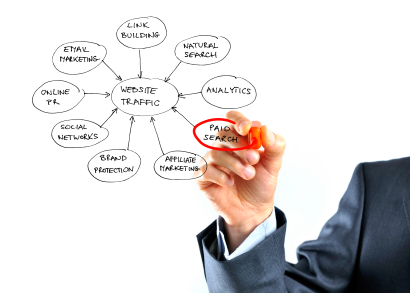 Here at MNI, we can accomplish this by using specific search marketing techniques and plans. Do you already manage a PPC Minnesota Search Marketing Campaign? If you would like retain control over your pay per click campaign, but would still like to learn more about how you can improve your campaign, contact us today. We can provide advertising campaign assessments as well as work hand-in-hand with your existing marketing team to make sure you are running the best Minnesota Search Marketing campaign possible. We can easily train your employees on the best practices and how to implement our strategies. At Minnesota Interactive, we ensure that your Minnesota Search Marketing strategy is not just generating any sort of traffic; we specifically target users who are interested in what you are selling and are likely to convert. Having visitors come to your web page does no good if they aren’t there to purchase something. Should you be interested in learning a little more about paid search or internet marketing (or perhaps certain major players such as Google, Yahoo and Bing), and would like to examine your current SEM (search engine marketing) tactic, you should get in contact with us immediately. We offer free, 30 minute consultations and there is no obligation to buy.